Add a sense of occasion each time you sit down to a meal with the strikingly beautiful and fresh dining table set. The table top is made from strong and reliable MDF and given a crisp white high gloss finish for a smooth surface that is easy to clean. Beautiful and natural bamboo is used to make the legs, which is known for its durability and strength while adding a warm feel to your room. Accompanying the table are four stools, each given the same attention to detail as the dining table. 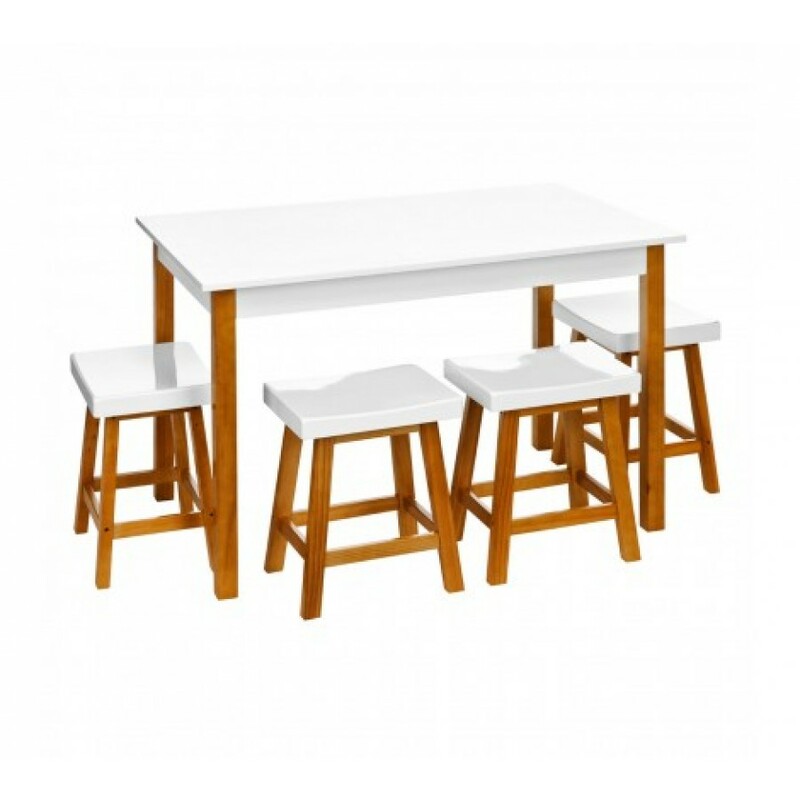 The beautiful dining table set will complement most decors bringing a fresh and clean look to your room.